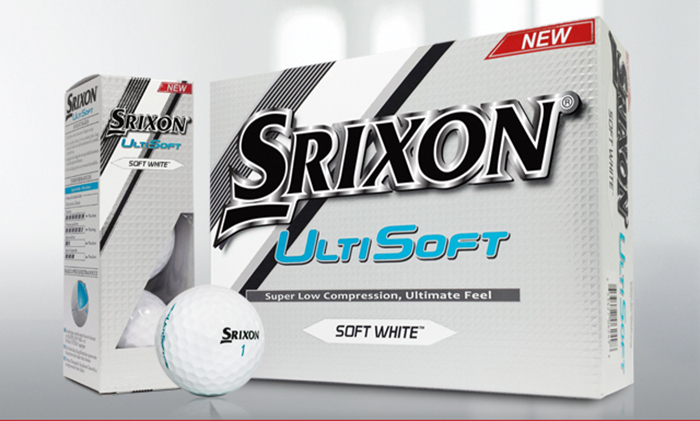 When Srixon launched the ULTISOFT ball we received a generous sample size to try out. A few months down the line we are still using the same ball and all for good reason. The strap line ‘Super Low Compression, Ultimate feel’ is exactly what this new product delivers. 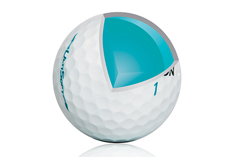 We found that the ball delivered incredible feel and distance, although it was designed for mid-to-low swing speeds. A lot has been said about the technology going into equipment, but little has been said about the advanced development of golf balls. 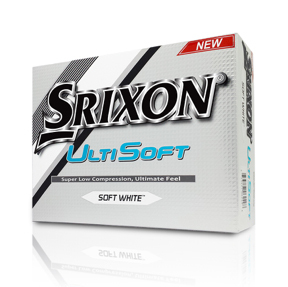 The SRIXON ULTISOFT ball has an Energetic Gradient Growth (EGG) Core, which is designed to help produce a higher launch and lower spin rate that leads to straighter, longer shots. In addition the 324 Speed Dimple design suppresses air resistance during ball flight to help with a stronger trajectory in windy conditions. Controlling the spin on your ball is incredibly difficult unless you are playing off a scratch or better handicap. How many times have you tried to put spin on a golf ball out of a bunker or around a green, only to say ‘Ahh that just checked up’ or ‘that didn’t even check.’ Cue the ULTISOFT, which provides consistency off the club face no matter what shot you are playing. Well struck approach shots do not yield tons of spin, but will stop on a dime and provide better opportunities to attack the flag and not worry about spinning off the front of the green. Lastly, and more importantly considering this part of your game accounts for roughly 35 shots per round, is the fact that the ball does not come off your putter face like a bouncing ball. It consistently gave a great roll, which builds the confidence on the greens, leading to better scores. SRIXON have pushed the boundaries with this product and with a retail price tag of R 299,88 for a pack of 12 through The Pro Shop (roughly R25 a ball) there’s no wonder this product is becoming increasingly popular.